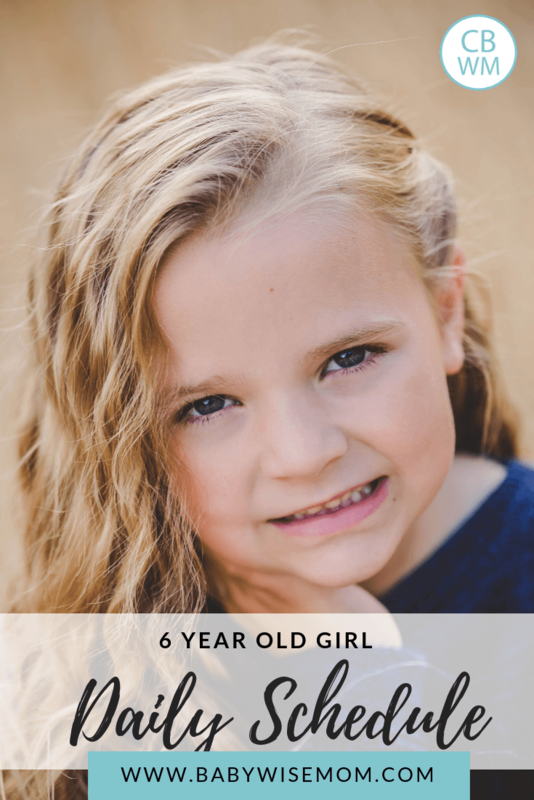 Six year old girl information. 6 year old sample schedules. See how this once Babywise baby is doing as a six year old. This is a summary for Brinley from 6 years old to 6 years and 3 months old. A few weeks of this time was in summer then the remainder was during the school year. Eating was all great. With the start of school, Brinley started to eat school lunch. We had her try every meal they offer one time, then after that she can know for sure if she likes it or not. For all of my children, they only like a few school lunches as first graders, then by the time they are sixth graders, there are only a few they do not like. Most days she takes a lunch from home. A few weeks of this period was the end of summer. As summer ended, Brinley more and more just needed school to start so she had extreme structure in her life. School started off very well for Brinley! She has loved her teacher. He is super organized and consistent in how he manages the classroom, and if you have read any of Brinley’s summaries, you know that exactly what she thrives on. When she first started coming home from school this year, she declared that school was exhausting! This is her first year in full day school. I have found all of my children are super tired their first year of full day school. It is a really big change! But they adjust so quickly. Brinley is good in class, though she does talk a lot (which is no shock to me in the least. I live with her). As time went on, Brinley got used to the long days and was no longer exhausted when she came home. She has continued to love her teacher. She plays school a lot. She always plays the teacher and she is always a nice teacher. That always tells me the child is having a positive experience with the teacher. The super consistency of school has been so very good for Brinley. She thrives with consistency and has been so much less emotional with her days being ultra consistent and predictable. Piano: Brinley took piano through the end of August, then we gave her a break. She didn’t take summer off, and all of my other kids took summer off at that age. Brayden started musical rehearsal two days a week, so squeezing her lessons in on top of that was all a bit crazy and stressful. So we took a break for a bit. I do have her on the waiting list for the teacher Kaitlyn and McKenna are with. They will be starting with her next school year. Soccer: Brinley had a lot of fun playing soccer! She really enjoyed playing and had fun with her team. Gymnastics: This year, Brinley really needed to choose between dance and gymnastics. Part of me feels bad about that because her other sisters were able to do both at this age. With her being child number four, however, we just have to cut back on how much each person is doing. So she chose to do gymnastics. I kind of love that she chose that because she is super scared of heights and that makes gymnastics a personal challenge for her. She is improving each month and getting better at her skills. Swimming: Brinley’s swim teacher that she has had her whole life got a full-time job and needed to stop teaching swim, which was sad. Fortunately her younger sister had an open spot for Brinley. Brinley has rolled with having a new teacher very well and is enjoying swimming still. 7:30 – Wake up. Get ready for school. Piano practice happens in this time slot. 4:00 – Get home from school. 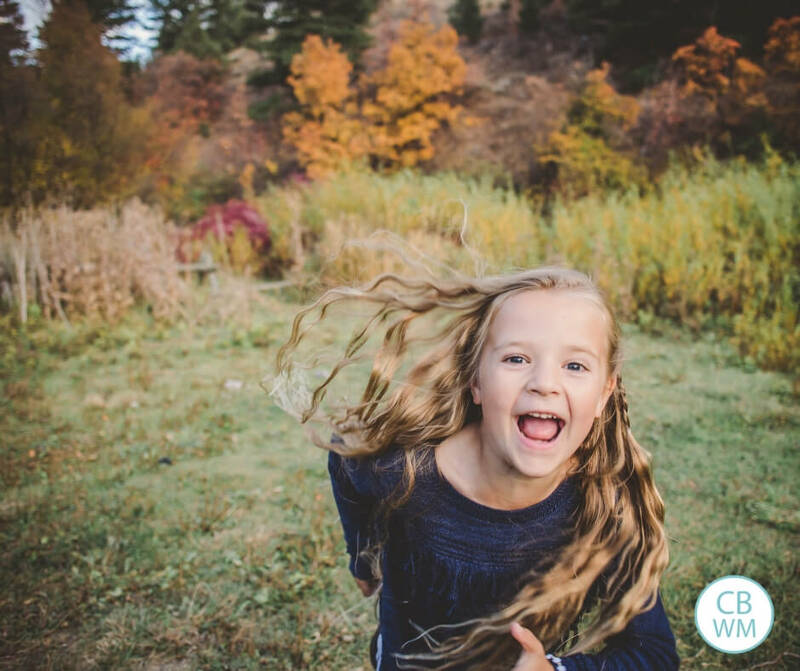 Homework (she very rarely has homework), chores, family time, dinner, free play. Here is Brinley’s slideshow for this time period.